FH+H is excited to welcome Melissa Cross as a Partner to our firm’s Intellectual Property + Technology practice group. Ms. Cross specializes in intellectual property and technology licensing and transactions with a focus on trademark law and branding. Prior to joining FH+H, Ms. Cross was an attorney with Arnold & Porter’s Intellectual Property and Technology group both in New York City and Washington, D.C., where she represented many high-profile clients from a wide variety of industries. Ms. Cross then went on to form Cross Intellectual Property Law, where she offered strategic counseling in identifying and protecting intellectual property assets and maximizing their value. At FH+H, Ms. Cross’s practice includes identifying valuable intellectual property; filing trademark and copyright applications both in the U.S. and abroad; maximizing the value of intellectual property through product distribution, promotional partnerships, and licensing; and counseling and enforcement related to trademark, unfair competition, false advertising, rights of publicity, copyright, and domain name disputes. 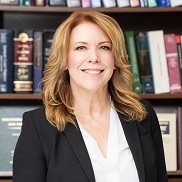 Ms. Cross received her Bachelor of Arts and Juris Doctor degrees from the University of Maine, and she is licensed to practice law in Virginia, New York, and the District of Columbia. Read Ms. Cross’s full bio here. Ms. Cross specializes in intellectual property and technology licensing and transactions with a focus on trademark law and branding.